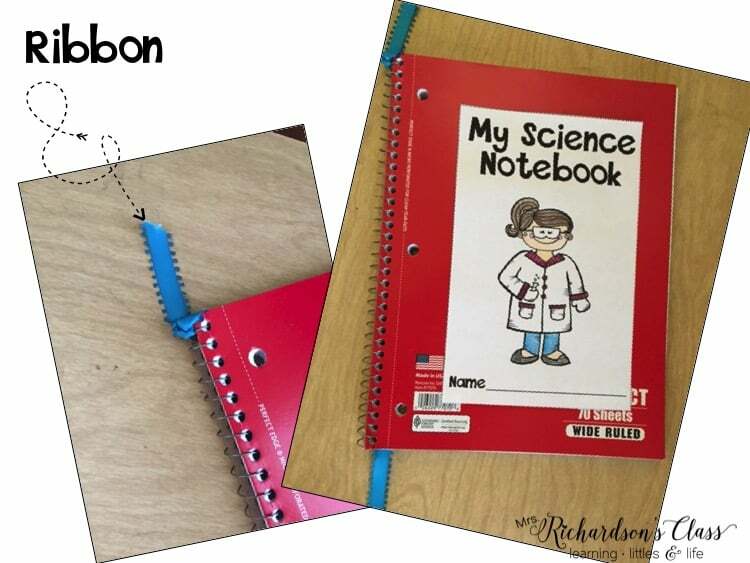 I have been using science interactive notebooks since my first year of teaching. 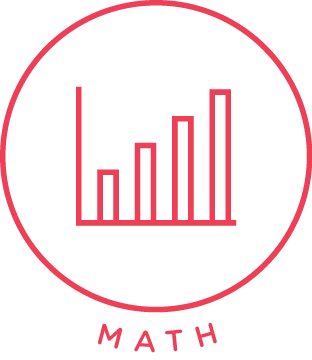 I had a wonderful, wonderful, wonderful science teaching coach who was all about using science interactive notebooks in the classroom. It was a bit of a struggle for me to get them going. Some years were better than others for implementing them, but over the years I have learned a few tips and tricks. Today I wanted to share them with you. 1. 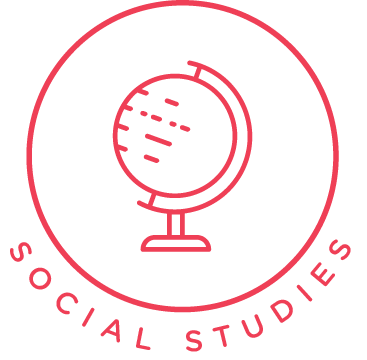 Let your students make them their own. I like to do this by giving them a cover to color and decorate however they would like. 2. 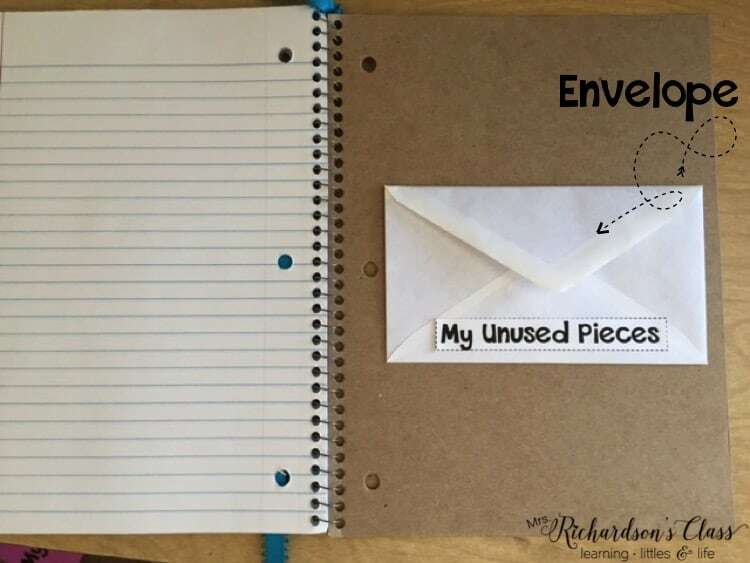 Add an envelope to the back for the unused pieces. Sometimes my students wouldn’t be able to finish gluing their pieces in their notebooks and I would have to pass out baggies for them. The baggies would get lost in their desks or chair bags and I would constantly have to make them more copies. 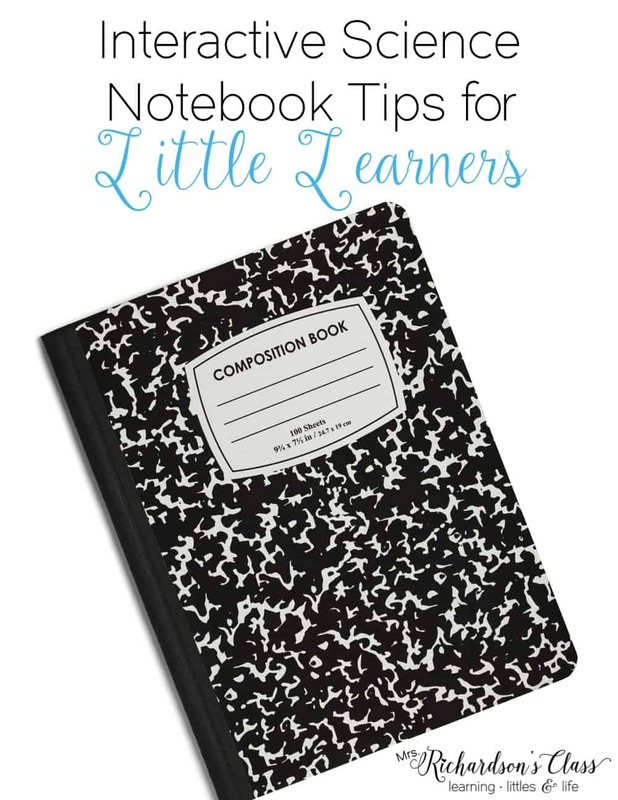 This helps keep their pieces right where they need them–in their notebooks! 3. Add a piece of ribbon as a bookmark. I always liked for their flip book pages to be in the correct order. To do this we had to work on not skipping pages. By adding a piece of ribbon as a bookmark, the students were able to easily know where their next flip book needed to be glued. 4. Use fancy elastic to hold it all together. The notebooks get THICK pretty quick! Students would shove them in their desks or chair bags and they would get bent and pages would get torn. This helps keeps the notebook nice and neat. 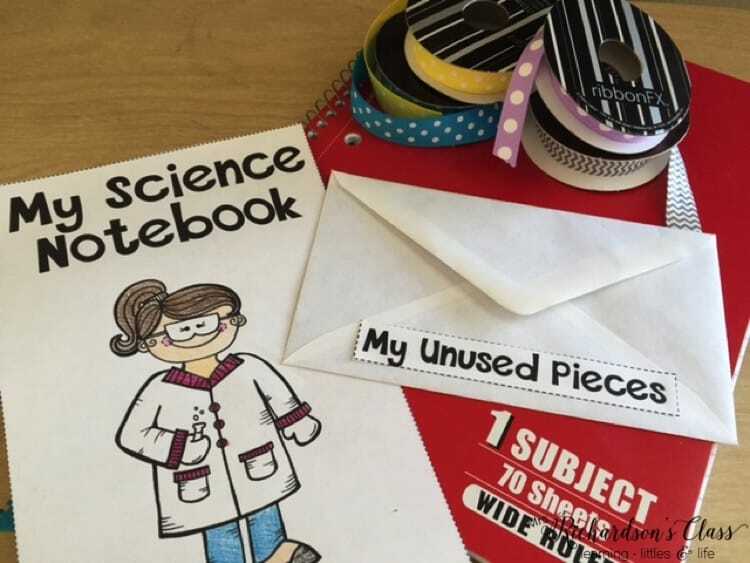 If you are looking for activities for your science interactive notebooks, check out this BUNDLE that will have you set for the year! 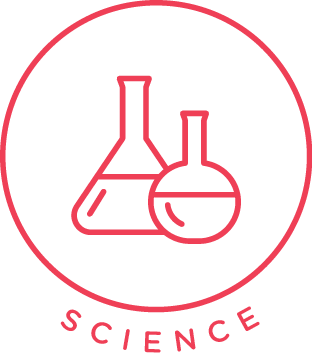 Are you in need of science journal covers? Grab mine HERE for FREE! 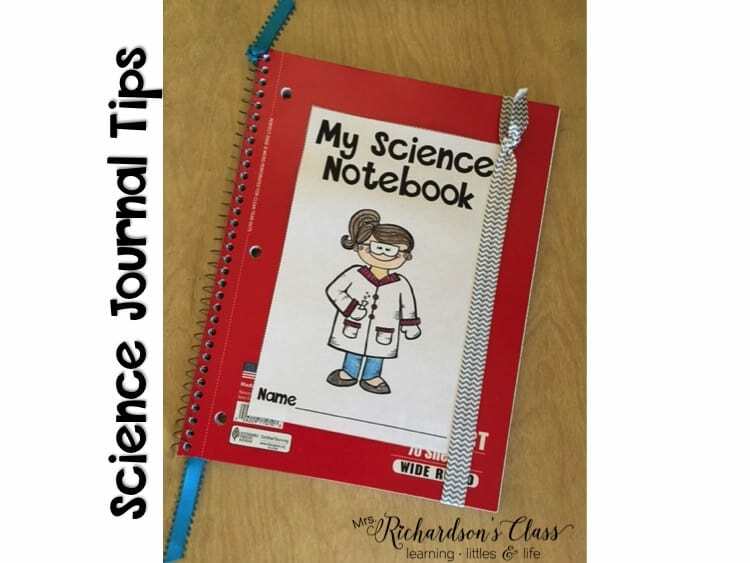 I hope these tips get you excited about implementing science notebooks with your students! My students always LOVE them! 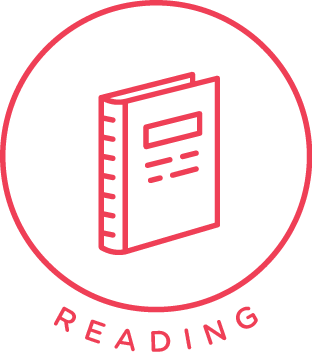 Be sure to check out my Reading Tips for the Beginning of the Year post! Grab this Science Read Aloud MEGA List to help make integrating science into reading a breeze! Very cute! Is there anyway you can email me the original, so that I can put it in Spanish? 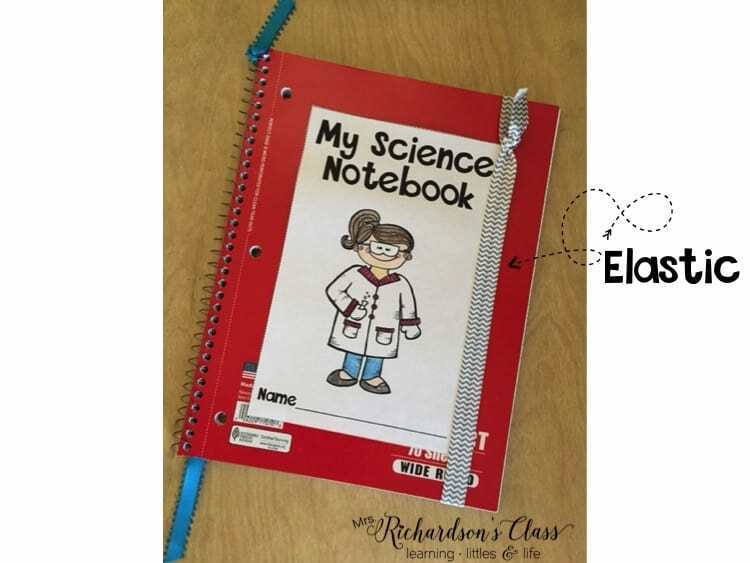 Do you have an interactive science journal for Kindergarten? 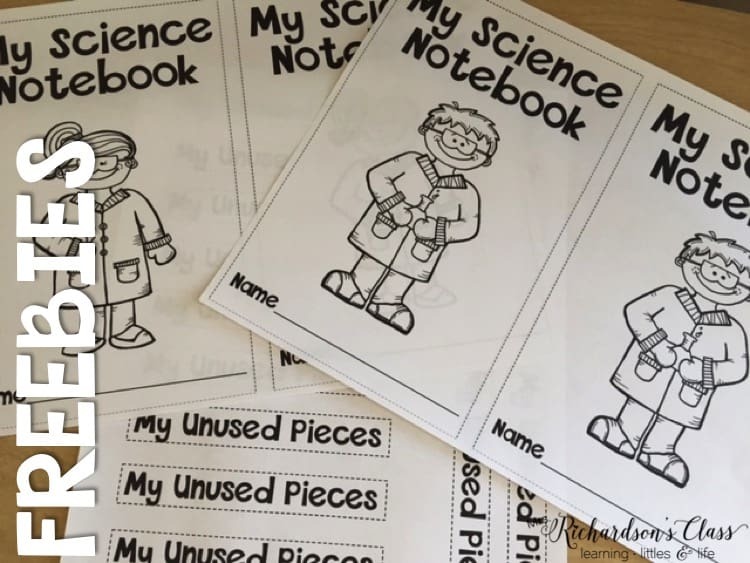 Do you have a bundle for Kindergarten science interactive journal?